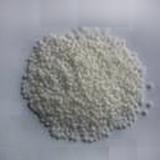 Used to produce viscous solutions or dispersions, to impart body, improve consistency, or stabilize emulsions, including suspending and bodying agents, setting agents, jellying agents, and bulking agents. Stabilizers and thickeners, from table.white powder. Odorless.